Will you play from watching TV to playing TV WeChat TV? Remote control of the TV with a mobile phone is not news. However, the use of WeChat to remotely control the TV has made many people brighten up. Following the joint efforts to build the TV industry's largest TV game platform, Konka and Tencent once again join forces to jointly launch a heavy product - Konka e-TV WeChat Internet TV. Almost at the same time, TCL launched the 2.0 version of WeChat TV, and Skyworth released the first WeChat TV at the end of last year. How to find the best mode of integration with the Internet has always been a difficult problem for many traditional TV manufacturers. Perhaps it is close to the water, and the three color TV giants located in Guangdong, without exception, have found Tencent cooperation and gaming WeChat TV. From "watching television" to "playing television"
Recently, the two traditional color TV giants Konka and TCL have released new WeChat TV sets at the same time. They all claim to be "first to implement WeChat TV on-line and mass production." Their products are "the first televisions to connect WeChat." Skyworth released the â€œWeChat TVâ€ at the end of last year, claiming that it has completely changed the interactive experience of TV. Today, smart TVs are not only an access to information but have become an indispensable element of connected social networks. Earlier this month, Konka Easy TV WeChat Internet TV was formally launched nationwide. The WeChat Internet TV is jointly launched with Tencent. In addition to daily TV watching functions, it has a TV function based on the Tencent WeChat platform such as WeChat transmission screen, WeChat barrage, and WeChat remote control. For example, you can log in to WeChat and use WeChat to remotely control TV, change channels, and watch programs. At the same time, you can also interact with other WeChat friends and WeChat strangers who are watching the same program at the same time. This is the function of the WeChat Barrage. When you watch TV, some of the ideas you publish in real time will appear on the TV screen. Other users can comment and follow comments in real time when they see your point of view. According to Hao Yi, CEO of TCL Multimedia, the newly launched TCL WeChat TV 2.0 will add powerful voice search capabilities, custom program listings, and program sharing and recommendation. As of the end of October 2014, more than 51,000 TV+ smart TVs with WeChat enabled have been deployed, and more than 75,000 WeChat accounts have been bundled. It seems that traditional television has also begun to worry. Regardless of whether WeChat TV can be sold, it is indeed a bright spot for WeChat TV to transform TV. Like LeTV and Xiaomi TV, they were all developed using Internet thinking. What kind of response will the Konka launch to the market? The sales may not be visible for the time being, but at least we have given over 100 million WeChat users. A message can also be used to chat with Konka TV. With a large number of WeChat users, Konka hopes to open the TV sales market. Obviously, Guangdong TV giants chose to cooperate with Tencent, focusing on its WeChat and QQ users. Basically, the current WeChat users are more concentrated in 80,90, they began to marry and have children. Marriage and childbirth are bound to take into account the need to buy a house, purchase furniture, and thus bring demand for television consumption. At present, WeChat users have exceeded 600 million. Assuming that 1% of users can be converted to purchase WeChat TV, there will be 6 million shipments. According to 2,000 yuan to buy a 40-inch TV, it can be calculated roughly. Billion sales, which accounted for 75% of color TV sales last year. The "third-screen battle" of smart TVs is fierce. How to find the best mode for integration with the Internet has always been a problem for many traditional TV manufacturers. Konka is committed to building the color TV brand that understands the Internet and is the first to implement the launch and mass production of TV-based WeChat internet. It has given an answer: With the thinking of the supremacy of users, the banner of television is not being held high and the new television era is advancing. At present, the number of registered users of Konka Smart TVs has reached 3.7 million, and the number of daily active users has reached 1.06 million. The daily network boot rate has reached 50%. Konka WeChat Interconnect TV will further deepen the user application experience and set off a popular social atmosphere for large-screen homes. How to play micro-channel Internet TV? WeChat TV can be said to combine TV and WeChat experience to the extreme. Taking Konka ETV's WeChat Interconnect TV as an example, it has three innovative features. 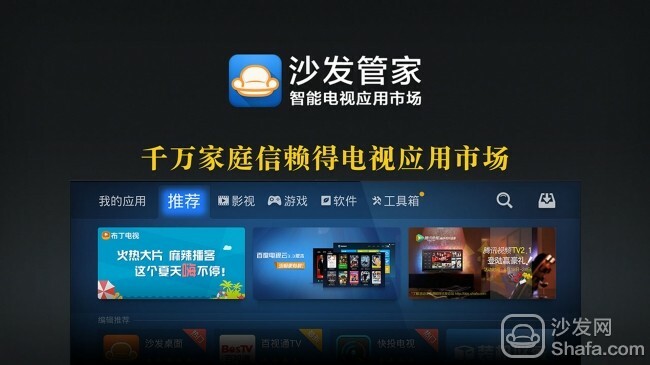 Using the "WeChat transmission screen" function of Konka ETV's WeChat Interconnect TV, users can connect mobile phones and smart TVs, and then "multimedia" multimedia content to smart TVs to enjoy the "big screen" fun of smart TVs. The â€œWeChat Screenâ€ of Konka ETVâ€™s WeChat TV supports videos, audio, pictures, and other formats, and pushes movies, TV dramas, and wallpapers...all without problems. The â€œWeChat screenâ€ using Konka ETVâ€™s WeChat Interconnect TV no longer requires the installation of another APK, nor is it limited to local area networks. 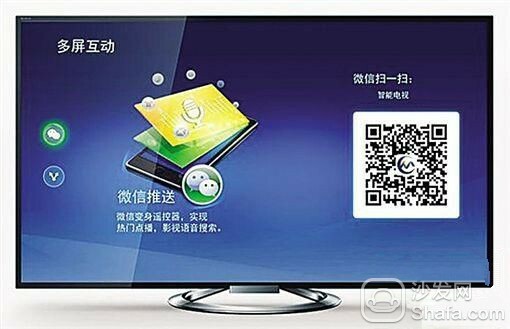 As long as the TV is connected to the "WeChat Interconnect" side, "full-screen transmission" and "off-site transmission" can be realized. "Barrage" originated in Japan. This is a subtitle technology for interactive video sites. It is convenient for everyone to read and write. The user's speech is subtitled and flies over the video. It looks like it flies in shooting games. Dense bullets. With this feature, when users watch live TV, they can send a comment barrage to the video content. At the same time, they can also see the barrage comments of friends on the current program. Do not know where the remote control is placed? Next, turn over the coffee table, turn the sofa, turn the bed, and then feel extremely annoying, almost crazy, and finally reluctant to give up watching TV? With Konka e-TV WeChat Internet TV, you can follow this The troubles are saying "Satara nora". With Konka Easy TV WeChat connected TV, personal mobile WeChat can be turned into a universal TV remote control at any time. When the user uses, only need to "shake" the state of the public program list, you can achieve the TV virtual remote control function, support global fast wake-up remote control panel, control the current broadcast program through the remote control panel, and achieve program search Features.